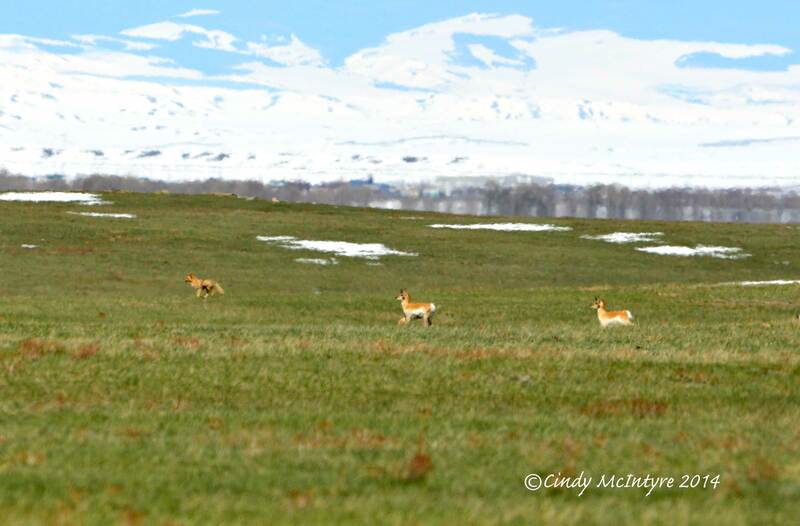 Pronghorns Chase Coyote – For Real! While exploring the high country of Laramie, Wyoming on Thursday morning, I saw a most unusual turn of the tables. 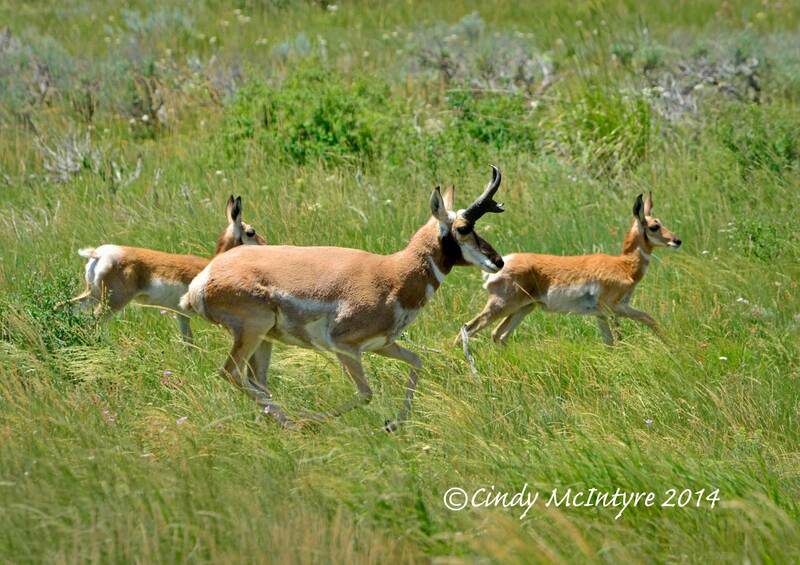 At first I saw only the herd of pronghorn antelope running in a tight bunch, their white haunches flashing in the sunlight. Then I saw a smaller animal running quite a bit ahead. It looked big enough and furry enough to be a wolf, but it was probably a coyote.